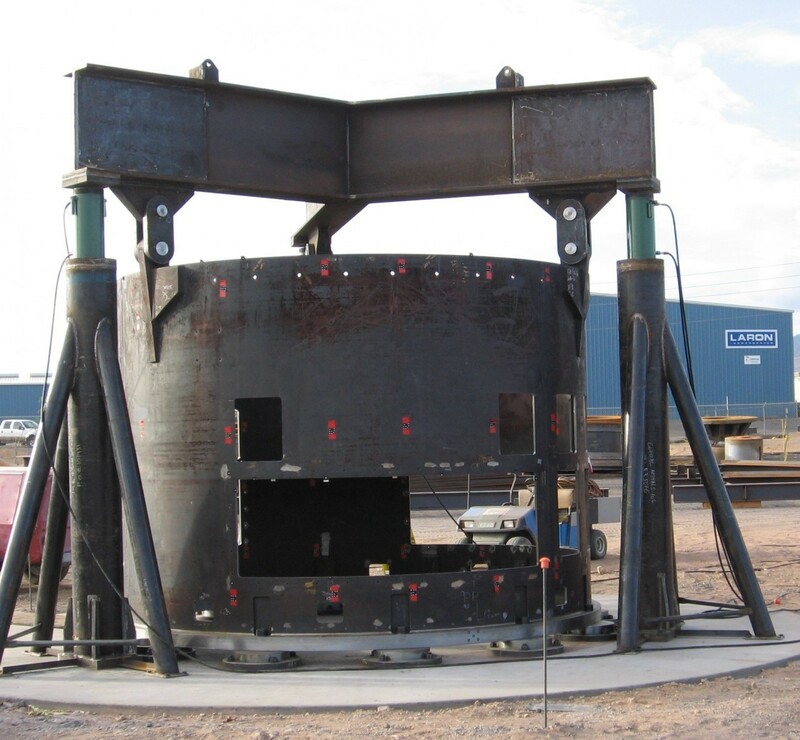 Laron was approached with a request to fabricate, machine and test a PW Reactor IHA Shroud for an international nuclear service company. The construction of the device required conformance to exacting tolerances, dealing with constantly changing customer requirements, strict quality assurance and immovable deadlines. The machining capabilities of Laron were a perfect fit to machine the large fabrications to the tolerances required. The Laron Document Control system ensured fabricators and machinists were working with the most current information set. 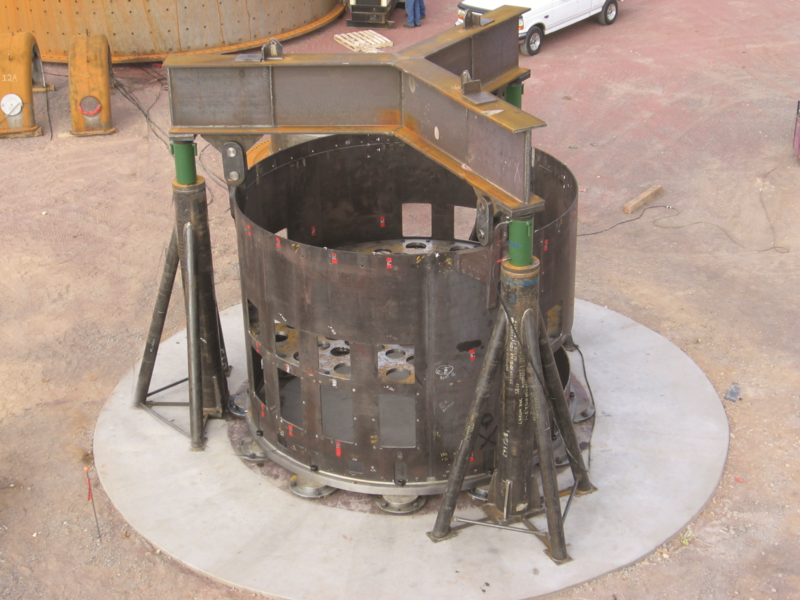 Although the challenges of building the system were significant, perhaps the most significant challenge came with the requirement to weight test the device. The device had to be test loaded with weight distributed in the same manner as it would be if lifting the intended load. 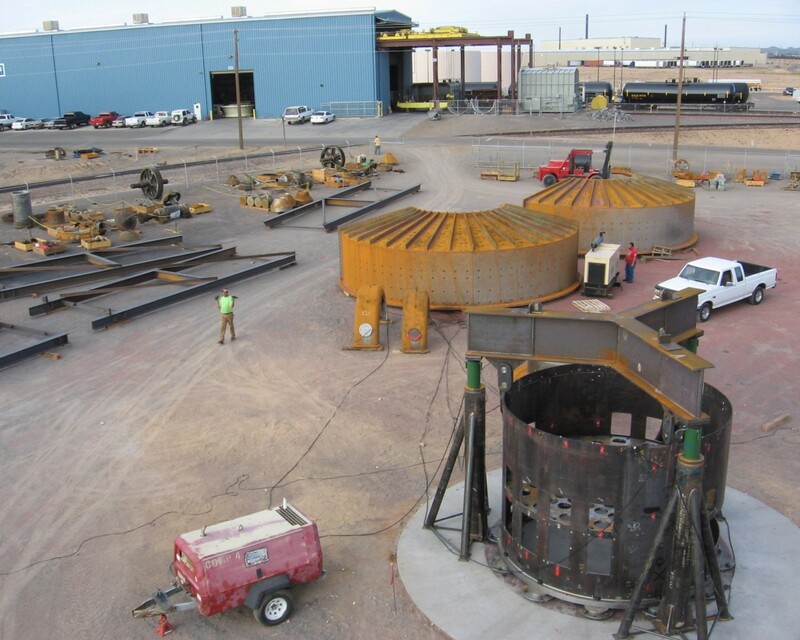 Laron engineers designed a 1,000,000 pound weight test pad that allowed Laron to test the part using the earth as both the anchor and the foundation for the pull devices.